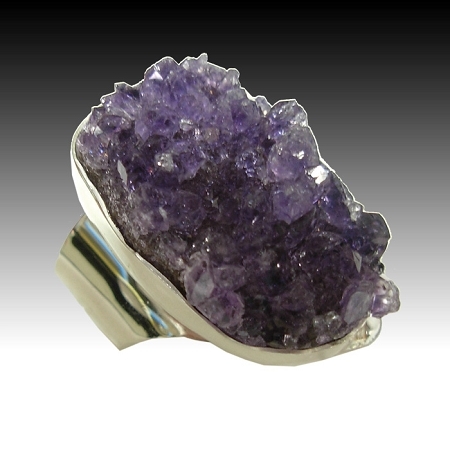 Sculptural Jewelry - This is a large bold high polished sterling silver ring featuring a beautiful freeform geode purple Amethyst crystal gemstone. This beautifully handcrafted ring has a wide shank and is adjustable for easy sizing. Handcrafted sterling silver ring with A NATURAL AMETHYST. Size is not a problem.